Port side of the boat with three glassed planks waiting to dry. Great fun it was this time. We are getting better at this. Henry Ford would have been proud. Our planks are a good exercise in differential geometry, shown here in fullness. Feels good to finally have completed them. 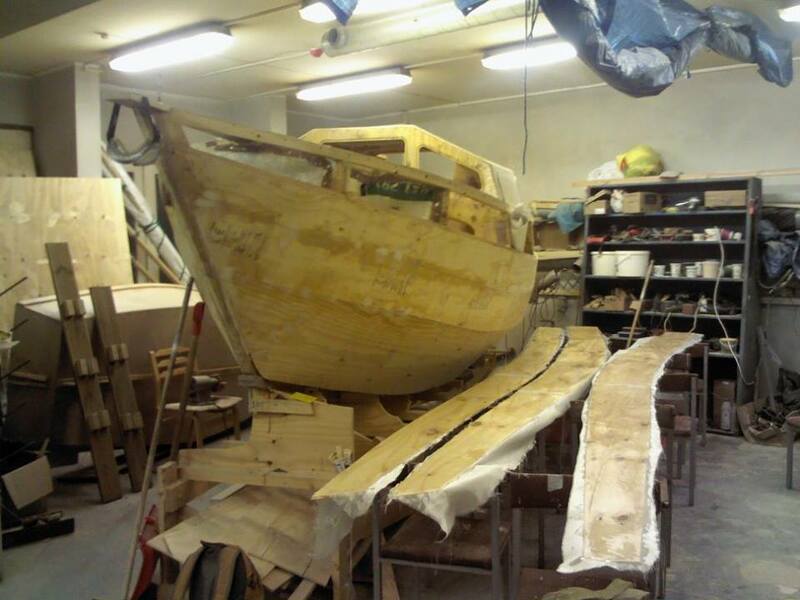 One of the planks was lap-jointed in two places. I cannot understand why you are fibreglassing the planks before installing rather than doing the whole hull in one go when finished planking? No, we are glassing the inside of the planks, which would later be conciderably more difficult. 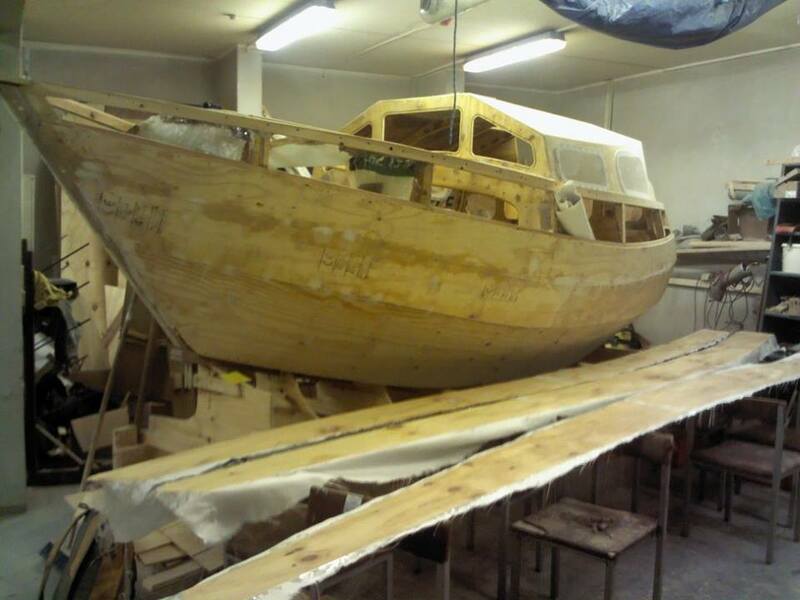 The outside will be glassed once the hull is done, complete with the keel and all. The so called “sandwich” design. So far, only the cabin roof and window sidepanels have been glassed from the outside.